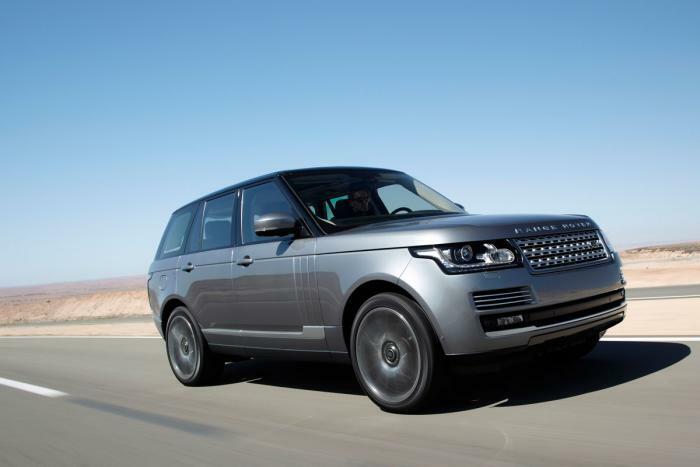 Recently Land Rover announced a host of upgrades to its Range Rover and Range Rover Sport models. The three major areas where the iconic British auto-major has put all its expertise are – performance, in-car technology and personalization. The two SUVs boasts of a plethora of cutting-edge features which will pamper and persuade you to succumb to its flattery. The awestruck customers, apart from counting the features, will have to acknowledge the fact that on the whole Land Rover has struck perfect balance between the cosmetic and mechanical upgrades. The 4.4-litre SDV8 diesel engine benefits from an additional 40Nm of torque, so that it now generates 334 BHP and 740 Nm, and is paired to a revised eight-speed automatic gearbox. Surprisingly this extra torque comes with no increment in either emissions or fuel consumption. Each model will now feature Land Rover’s InControl connectivity interface as standard. The Remote branch of this system features an integrated SOS Emergency Call function, Optimised Land Rover Assistance and a smartphone app allowing users to connect remotely with their vehicle from anywhere. Meanwhile, the Secure arm tracks your Range Rover in case you unfortunately misplaced the giant SUV ! Along with these tech are two new tools, InControl Apps and WiFi. The first allows owners to sync smartphone apps to the vehicle’s touchscreen, and is compatible with Android and Apple, while the second provides instant in-car access to a mobile hotspot that can support up to eight devices at once! 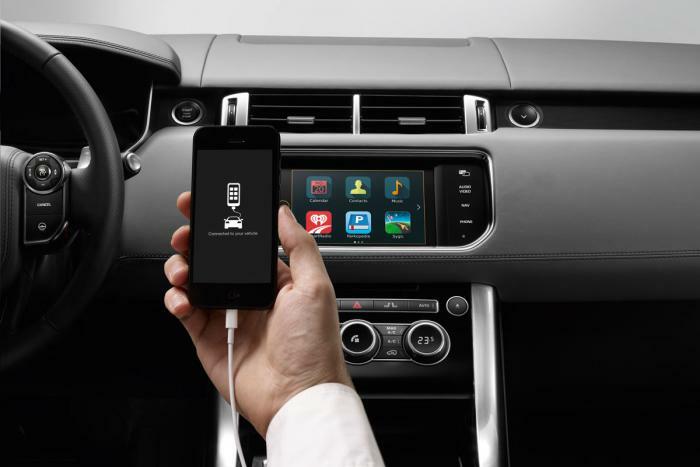 No doubt the Range Rover will take connectivity and synchronization to a complete new level. Cosmetically, both the models will now feature fixed panoramic roofs as standard, new wheel and colour options. Improved scope for personalization means customers can now opt for ‘Aruba silver’ and ‘Kaijoura Stone’ exterior paint schemes, with the roof and doorsills matching the body colour or otherwise finished in contrasting black. Plus, there’s the option of new 19-inch Satin Dark Grey alloys for standard Range Rovers, whilst massive 22-inch alloys are available for long-wheelbase variants. Elsewhere, updated puddle lamps project an outline of the vehicle onto the ground to light the way for occupants at night, whilst inside there’s also an Intelligent Cargo Mode that moves the front seats forwards if extra room is needed when folding the rears. For the Range Rover flagship, there is a new Autobiography Black model, which is available only in long-wheelbase form. The Autobiography Black comes with unique new 21 or 22-inch alloy wheels, LED rear lights, configurable mood lighting, new leather trim combinations and special Autobiography design detailing. In addition, rear-seat passengers can relax in individually adjustable seats, separated by an extended centre console with electrically deployable leather tables, USB sockets and bespoke lighting. 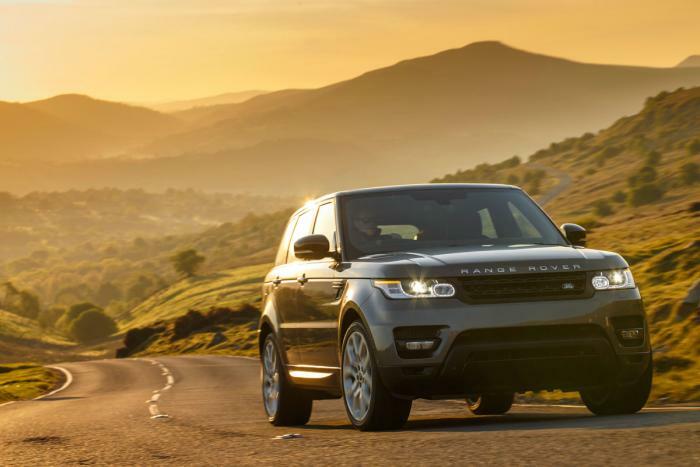 Sure it will take some time for JLR to launch the updated 2015 Range Rover and Range Rover Sport, here in India and we will keep you posted with further developments on this, until then do let us know what you think of the SUV!